NoExcusesHR: Social Gravity - Read and Learn! I was fortunate to take last week off for a vacation. Finally some family time (almost) disconnected from email and twitter (at least from an obligation standpoint), and really unwound from the pace that consumes us all in everyday life. One of the perks of having so much downtime is the chance to read a book that you want to read, not one that you have to read. 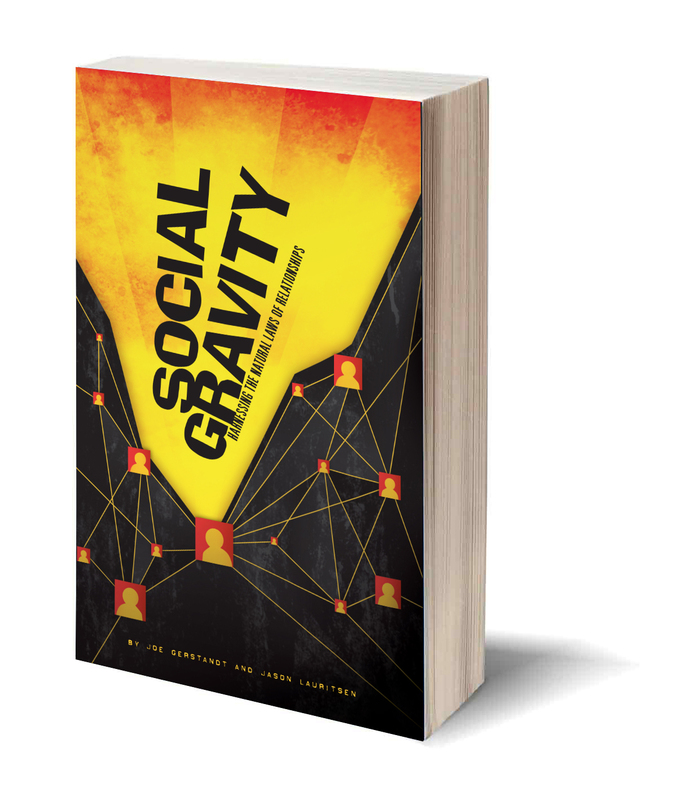 Social Gravity, by the dynamic team of Jason Lauritsen and Joe Gerstandt is one of those books. Those who know me well appreciate my disdain for most things vendor and/or endorsement related. I guess I always feel taken advantage of, or that I'm being used for someone else's advantage. Reading Social Gravity however requires me to not only endorse this great little book, but to challenge my colleagues to step up and read it for the sole purpose of some serious introspection. Not only is the book filled with practical strategies that can be implemented immediately; but it also turns the whole concept of networking, connections, and personal relationships completely around. Are you ready for that; or is it safer to stay glued to your old (read here => tired) and trusted (read here => risk-averse) and reliable (read here => the world has passed you by) approaches? I'm doing a whole bunch of rethinking right now. Buy the book today and get started learning how the world really works.